Dude, I know. Stop. I know. I'm just as sad about it as you are. But for real though it's not even his fault it's just that he's like 50 years old now and this post was just kind of like shooting content fish in the bolg barrel. And anyway- I'm just doing this as a reverse psychology stunt so I can take the credit when he goes on a tear and hits .600 the remainder of the season and we sweep our way through the NL East and the playoffs and World Series and we all have one huge giant group hug on the parade float and the Phanatic does something funny and we all crack up laughing and reminisce about ol' ZWR's super mean photoshop from way way way back in the spring. So keep that in mind. 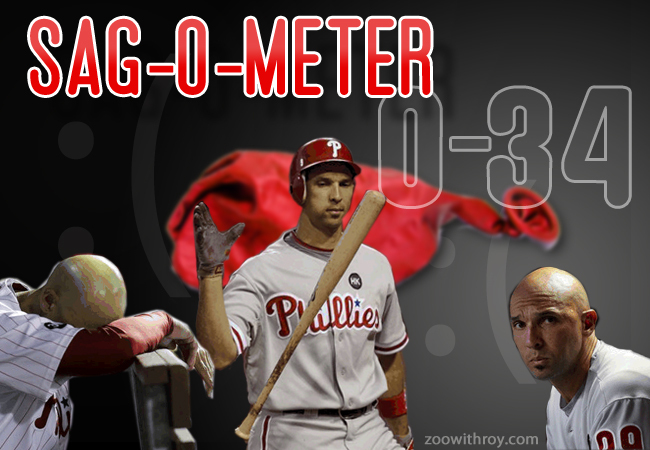 Mind if I steal this image for the banner of my new website: "I want to catch the Early Bird Special with Raul Ibanez?" I'm rooting for Raul to break the all-time hitless record of 46 at bats. do you see into the future? I found this site just today. I am gobsmacked and other words that mean amazed. You don't have anything planned about asteroids, do you? That's really what I thought Obama was going to announce Sunday night. Well played, ZWR, well played. You, sir, are tactical genius.